The Newton Running Shoes, while not exactly a traditional barefoot running shoe, the benefits that you get from running in them can be substantial. With patented technology, Newton designed a high-end shoe that not only provides massive support for your foot, but also trains you to run correctly by forcing you to land and “strike” the ground correctly. The Motion continues to make its mark as the leading lightweight high-performance midfoot/forefoot stability trainer. With improved durability in the heel, a new high-rebound midsole material and anatomically designed forefoot strapping, the Motion offers an improved ride with greater stability, durability and fit. A medial (support) post extends from the arch area to the metatarsal heads to combat early and late-stage pronation. It features Newton’s Action/Reaction Technologyâ„¢ in the forefoot and an advanced rearfoot design aimed at maximizing forward propulsion and optimal running form. Independent studies prove this technology, in conjunction with the LAND-LEVER-LIFT running technique, provides less stress on a runner’s joints, muscles and tendons. At first i was doubtful of Newton Running Shoes. Any company that gets so much hype in such a short time is always something I pay close attention to and carefully research before I make decisions, especially on the internet. I was a big Nike Free 5.0 fan previously and still am but I decided to try to Newton Running Shoes after reading more about it. 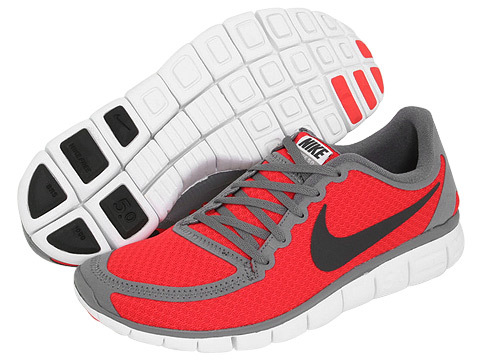 The way your feet feels inside the shoe definitely reminds me a bit like the Nike Frees because of the lightness. But you feel you have much more support in the Newton Runners (I tried their Distance model). I know I know, barefoot running is about NO support, but when I race down the track FAST, I do want some support as I think it improves performance. Barefoot running is great when you are doing long distances and I think there is a deep correlation between injuries and the shoes you wear, but what I was looking for was a Performance Boosters! I think the Newton Running Shoes definitely played a role in improving my performance. The price tag was hefty but the shoes are still in decent shape and I have been wearing them for some time (I put on around 5 miles a day average, including my sprints). I think they are definitely worth it. I am by no means a professional runner. I used to always get injuries from running even 4-6 miles. I so like the adrenaline rush afterwards. I guess that’s what I’m chasing. The problem was the injuries. My left hip would always feel “twisted” after running. I hear it’s all about form but I really don’t have the discipline to fix it. I tried the Vibram Five Fingers and I honestly think they helped improve my form, but my feet got blisters. I know if I kept using them I would build strong calluses on my foot and I would get less blisters but I really didn’t even want that. 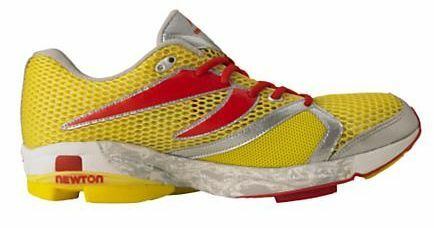 I decided to look into a better alternative which I found in the Newton Running Shoes. I started wearing these without following their instructions on how to run properly and I could already feel that it made a difference in changing the style of how I ran. Because of this, I watched some tutorial videos about them and learned more about the land level lift technique they talk about. Now if I even miss a step running “properly” I notice it and am concerned about it. It’s been 2 months and I’ve been injury free in terms of joint and hip problems and I KNOW its the Newton running shoes that did it!